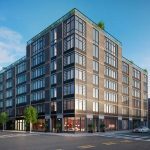 Cape Advisors, a New York City-based real estate development and investment firm, announced today that sales have launched at 30 Warren — a ground-up, 12-story new development with just 23 condominium residences. 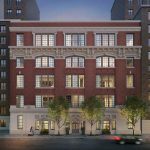 Designed by Post-Office Architectes, the building wraps from Warren Street to Chambers Street in Manhattan’s coveted Tribeca neighborhood. Corcoran Sunshine Marketing Group is exclusively handling the marketing and sales, with prices ranging from approximately $2 million to $8 million. 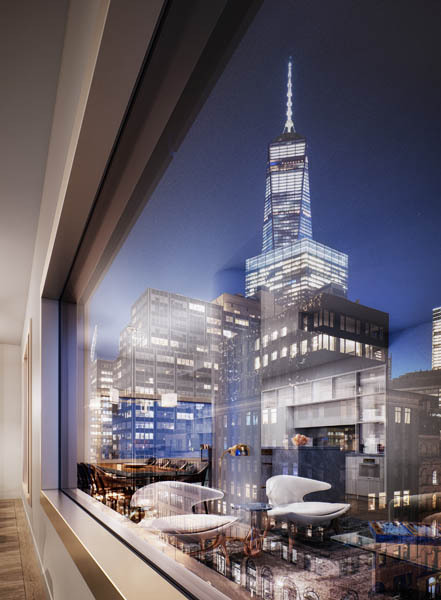 The sales center is now open at 99 Hudson Street, with visitation by appointment only. 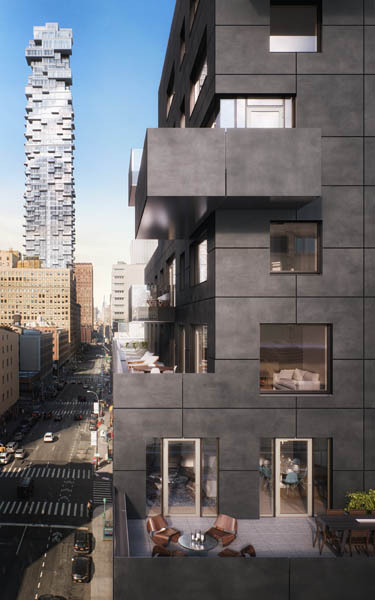 “30 Warren will reshape an entire block front in the center of Tribeca with a thoughtfully crafted architectural facade featuring numerous setbacks and oversized picture windows that will offer each residence incredible light, air and views,” said Craig Wood, Managing Partner of Cape Advisors. “We are seeing prime Tribeca expand and slowly shift to the center with the transformation of Church Street and downtown Manhattan. 30 Warren is actively leading the way in this trend complementing the vitality of a historic neighborhood with fresh architectural thinking at the dynamic center of Tribeca.” The residences at 30 Warren consist of one- to three-bedroom homes including three full-floor penthouses with direct elevator entry and library areas with custom millwork cabinetry. Many of the larger residences feature outdoor space including private balconies and sprawling terraces. 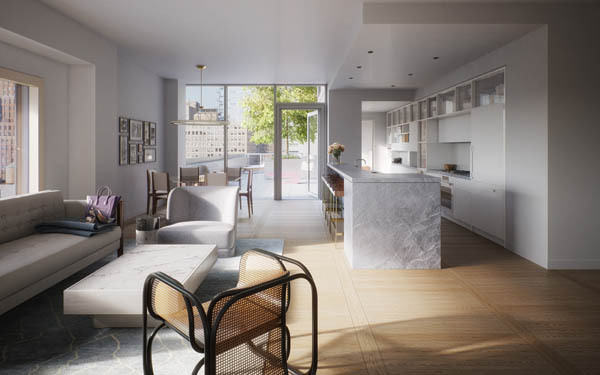 The residences range in size from approximately 1,000 to over 2,500 square feet. In addition to the exterior, Post-Office Architectes composed the thoughtful interior layouts which include 10-foot ceiling heights, open floor plans, oversized picture windows and panel oak flooring in a custom ladder pattern.The design consists of a palette of high-touch materials—Thassos marble, stained oak, saddle leather, ivory lacquer—in detailing that reinforces the modernity of the interiors.The kitchens include custom Italian white lacquer cabinetry with ribbed glass doors, marble slab countertops, and islands with leather and brass accents. Kitchen appliances include Miele fully integrated refrigerators and freezers, cooktops, speed ovens, ovens, hoods and dishwashers. Select residences include wine refrigerators. 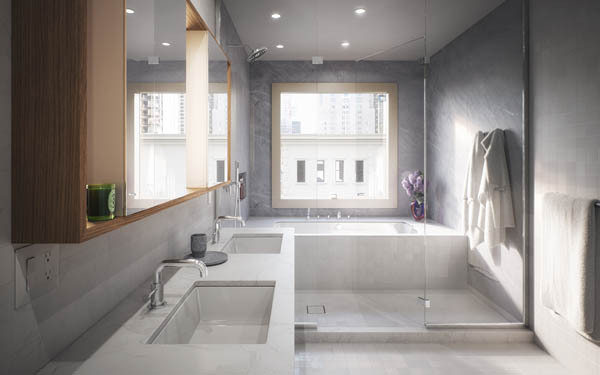 The master bathrooms include marble-clad walls, a custom vanity with white lacquer cabinets and marble slab countertop, oak-wrapped backlit mirror and fixtures by Waterworks. 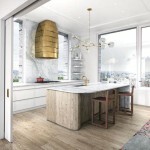 “30 Warren will rise above many of its neighbors to reveal expansive city views, the façade tapering thorough a series of elegantly conceived setbacks to present a slim profile that recalls the iconic structures of the downtown skyline,” said Francois Leininger, Managing Partner of Post-Office Architectes. “The southern facade with two setbacks yields views of the Manhattan skyline, the skyscrapers in the Financial District and the river.” 30 Warren’s unique façade, punctuated by generously proportioned windows, is veiled in artisanally-finished concrete ductal panels that present an unusual level of refinement at street level. Several of the stepped levels are planted with mature trees to filter views and provide a welcome taste of nature. 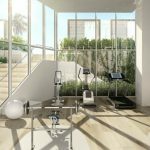 Amenities at 30 Warren include an attended lobby, fitness center, children’s playroom, bicycle storage and private storage. The project is scheduled to be complete in the fall of 2017. 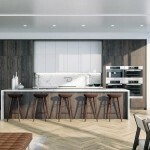 For more information, visit www.30warren.com or call 212-577-0030. Cape Advisors, Inc. was formed in 1995 as a real estate development and investment firm. Since its inception, the company has completed over $1.5 billion in development projects, principally in New York and New Jersey, including multifamily residential projects, hotels and conference centers, land development, retail projects, historic preservation, adaptive re-use, and environmentally sensitive projects ranging in size from $5 million to over $250 million. Founded in Paris and New York in 2014 by French architects David Fagart and Francois Leininger, and Swiss interior designer Line Fontana, Post-Office Architectes engages in all architectural and urban questions in need of creatives solutions. Post-Office is an architectural office reconfigured to fit the specific creative needs of increasingly complex and global projects, conceived not as a single production space but as a gathering of skills, a network of talents and experiences. Founded in 1997, HTO Architect, PLLC is a full service architectural firm based in Manhattan, specializing in the design of high-rise residential, hospitality, and mixed-use buildings in New York City and beyond. H.T.O. Architect’s team is comprised of creative, passionate, and extremely skilled individuals, proficient in a comprehensive range of architectural design specialties including master planning, ground-up construction, renovations, restorations, landmark preservations, zoning analysis, layouts, and interior design. With over 25 years of experience in marketing and collective sales in excess of $40 billion, Corcoran Sunshine Marketing Group is the recognized industry leader in the planning, design, marketing, and sale of luxury residential development. Representing properties throughout the United States and in select international locations, Corcoran Sunshine Marketing Group’s portfolio contains a curated collection of the world’s most desirable new addresses. For additional information, visit www.corcoransunshine.com.